In May 2003 I made the decision to write to a prisoner on Death Row. It has been an extremely rewarding activity. Here you can find more information about it. N.B. : If you would like to write to someone on death row, please do not email me asking for a list of addresses or pick a name at random from the internet! I strongly recommend you join an organisation like Lifelines or Human Writes as they will give you the details of someone who has specifically requested a penfriend, and will provide support via a co-ordinator, magazine and an email discussion group. Also, please note that if you are under 18 the US prisons will not permit you to write to a prisoner unless you are a family member. 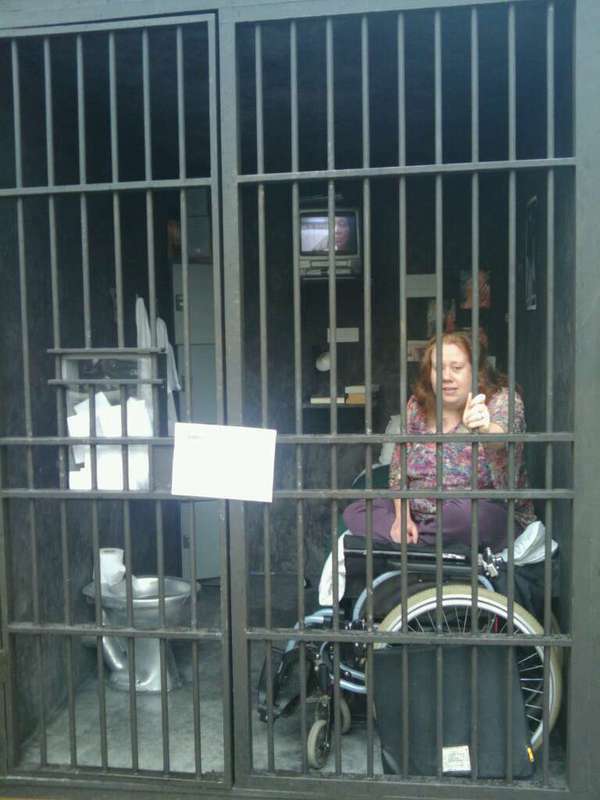 By the way, the photo shows me in a mock up of a Death Row cell. Small, isn't it? It was part of an event organised by Reprieve, who provide legal support to prisoners, from Death Row to Guantanamo. 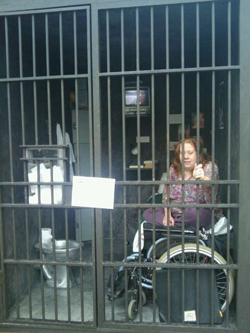 If you are able, please consider supporting Reprieve. If you have any questions about writing to a prisoner by all means send me an email via this form.